I have access to many resources that can assist you on your way. It is with great pleasure that we announce the contribution of Denise Hall Executive Director – Business of aCE talentNET in the latest of the series “Secrets of Inspiring Women Exposed”. This book takes you up-close and personal with thirteen women who have each reached extraordinary heights of success in their chosen path. In a candid and heart-warming way they share their inspiring stories and secrets to achieving greater personal success and happiness.To read more, and to order your copy, click here. 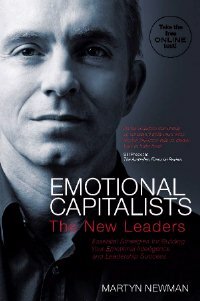 Research has told us that to be successful in our personal and professional lives we need emotional intelligence (EQ). In this book Martyn Newman shows us how to get it and use it to achieve extraordinary results. He shows provides the clearest blueprint yet for systemically building your EQ and leadership and parenting skills. Buy the book that has certainly influenced me. A Mind Map® is a powerful graphic technique which provides a universal key to unlock the potential of the brain. Mind Maps can be applied to every aspect of life where improved learning and clearer thinking will enhance human performance. Originated in 1970 by Tony Buzan, Mind Maps are now used by millions of people around the world – from the very young to the very old – whenever they wish to use there brains more effectively. Click here to learn more about Mind Mapping, the uses and benefits and even to hear from the creator himself, Tony Buzan. Are you looking to maximise their earning potential, create greater fulfilment in life and make a difference by contributing on a larger scale. YOU . are part of a select group of people who Denise Hall is inviting to take part in the acclaimed, 3 day Breakthrough to Success – Wealth and Power weekend seminar . with international accelerated human change expert, Christopher Howard . completely COMPLIMENTARY . as part of the NLP Scholarship program (valued at $1790 for 2 tickets). It is 3 days of fun, fast-paced and revolutionary education that is light years ahead in relation to the personal development programs of the past. Already, many thousands of people’s lives around the world have been transformed as a result of it. Now you and your team can join them. To learn more and to book your tickets , click here. 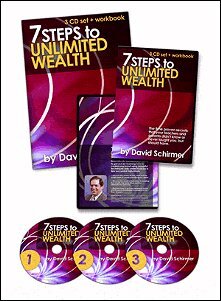 The 7 Steps to Umlimited Wealth helped set me on my path, as I’m sure it will you. You too can tap into what I know you will not regret by clicking here for his Wealth By Choice program. As you probably know by now … The Secret has gone crazy!Featuring an Australian Teacher along with others, it is affecting lives around the world, bringing joy to many millions. Since Oprah interviewed some of the Teachers, the demand for any Secret information is huge!!! Not only will it help you achieve your dreams and goals, there is a great opportunity behind any self growth of this nature.